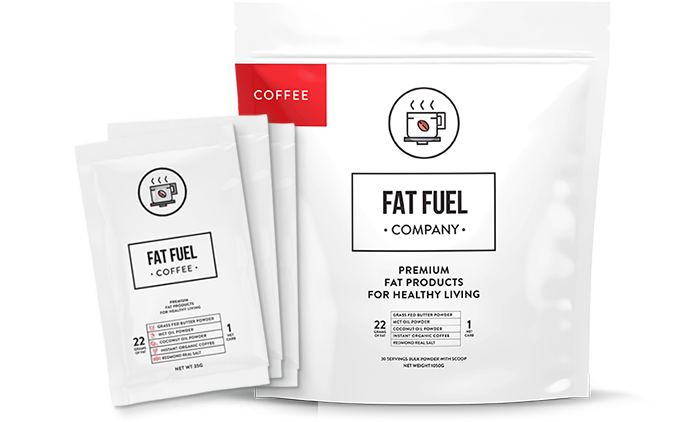 From the first sip to the last, Fat Fuel Coffee delivers on taste. The perfect creamy texture, and smooth finish is what Fat Fuel is known for. 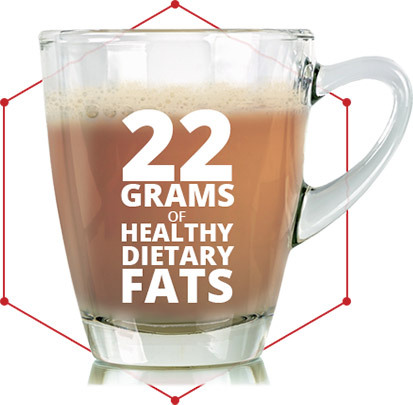 When you combine tasty saturated fats with premium instant organic coffee, magic happens. We take special care to ensure a perfect cup every time. You will not miss your home brewed keto coffee. Sorry, not sorry. 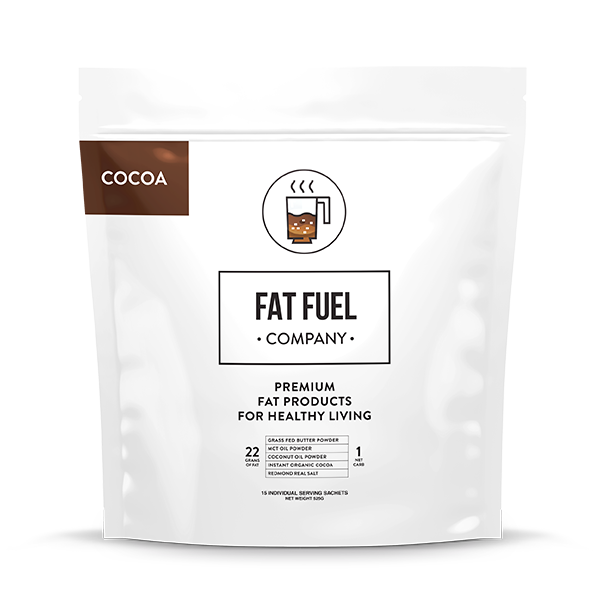 From the first sip to the last, Fat Fuel Cocoa delivers on taste. The perfect creamy texture, and smooth finish is what Fat Fuel is known for. When you combine tasty saturated fats with premium instant organic cocoa, magic happens. We take special care to ensure a perfect cup every time. 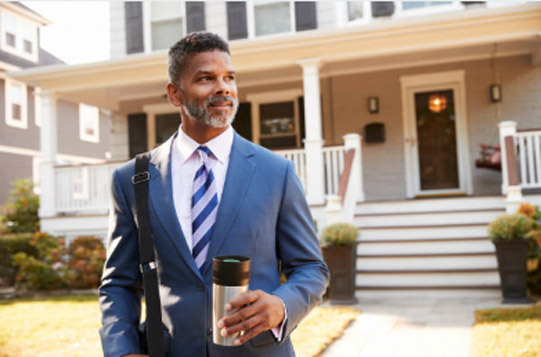 After a long night of sleep, you need more than caffeine to run that machine of yours. 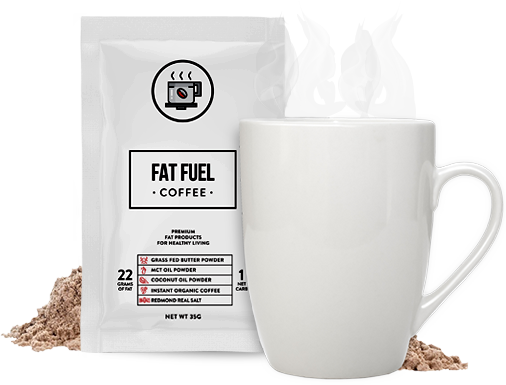 Kickstart your day with Fat Fuel. Feeling full, and thinking clear is always within reach with Fat Fuel Coffee. Fat Fuel Company makes living the keto/Paleo/ Low carb lifestyle delicious and easy. Finally, a way to enjoy a keto coffee without the hassle. Where will you make Fat Fuel next? "I can't believe how easy this was. I usually spend all morning making a regular Bulletproof Coffee but I won't be doing that any longer! This made my life easier, and saves me like 20 minutes everyday. Incredible taste too." "I have been on a Ketogenic diet since last June and have lost 75lbs. Fat Fuel is the best tasting butter coffee product I have found." "We just traveled to Turks & Caicos for our honeymoon & took 15 packets of fat fuel as I knew I wanted to continue my keto fasting on my trip. Fat fuel was so easy to pack.. no liquids or butter to carry on ! It mixed really well - we tried it hot and cold. Both were amazing! I'm totally ordering again next time we travel!"